Ever heard someone say "I didn't see it" or "I never saw him" right after a horrific accident? When you're hard to see, you may be in danger. Take yourself right out of the danger, and get into this Occunomix LUX SSETP2 O Orange Class 2 Hi-Vis Men's Tee Shirt inste ... (see full details) (see specifications) #OCCLUX-SSETP2-O. Ever heard someone say "I didn't see it" or "I never saw him" right after a horrific accident? When you're hard to see, you may be in danger. Take yourself right out of the danger, and get into this Occunomix LUX SSETP2 O Orange Class 2 Hi-Vis Men's Tee Shirt instead. This bright orange shirt is made for Class 2 visibility. That means you'll be vivid, eye-catching, and easy to see even in dim, dark conditions. Silver reflective tape was used to create 2-inch stripes. One horizontal stripe surrounds you in 360-degree coverage, while two more extend up and over the shoulders. The taping lights up in darkness, reflecting even dim lighting, so you’re much easier to see and much safer when you wear this hi-vis shirt. The fabric is 5.31 ounce, 100% ANSI/ISEA 107-2015 spun polyester. Spun polyester was created originally for home furnishings because it's so tough and fray-resistant. Polyester resists wrinkles, washes up easily, and wears well. In this moisture-wicking shirt, it also feels lightweight and comfortable on your skin. One left chest pocket adds a convenient storage spot for your valuables. You are the most valuable thing you’ve got. Protect yourself, and wear this Occunomix LUX SSETP2 O Orange Class 2 Hi-Vis Men's Shirt. 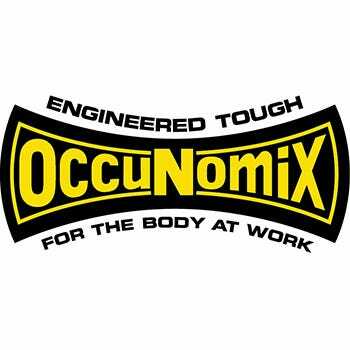 Occunomix Shirts: Men's Orange High Visibility LUX SSETP2 O Moisture Wicking Shirt is being added to your cart.